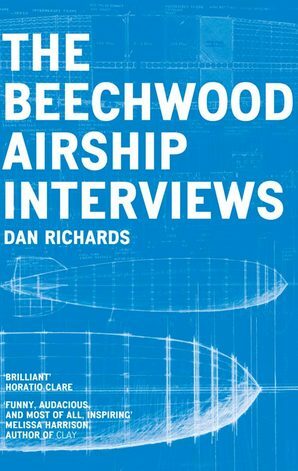 THE BEECHWOOD AIRSHIP INTERVIEWS Dan Richards. The Butcher of Common Sense were interviewed by Dan between 2009-2014. The book, published by Harper Collins was released on July 31st 2015. We wish it well. Our journeys have converged at many points and we predict that will continue. Bill Drummond. Richard Lawrence. Stanley Donwood. Jenny Saville. David Nash. Manic Street Preachers. Dame Judi Dench. Cally Callomon. Sheryl Garratt. Vaughan Oliver. Jane Bown. Steve Gullick. Stewart Lee. The Butcher of Common Sense. Robert Macfarlane.Artists. Writers. Photographers. Musicians. A comedian. An actor. A printer. An airship.The people interviewed in this book come from all corners of Britain’s cultural landscape but are united in their commitment to their craft.At the beginning of this extraordinary memoir, Dan Richards impulsively decides to build an airship in his art school bar, an act of opposition which leads him to meet and interview some of Britain’s most extraordinary artists, craftsmen and technicians in the spaces and environments in which they work.His search for what it is that compels both him and them to create becomes a profound examination of what it is to be an artist in 21st Century Britain, and an inspiring testament to the importance of making art for art’s sake. Dan Richards was born in Wales in 1982 and grew up in Bristol. He has studied at UEA and Norwich Art School. Dan is co-author of Holloway with Robert Macfarlane and Stanley Donwood; first published in 2012 as a limited run of 277 books – letterpress printed by Richard Lawrence in his Oxford workshop – followed by a general edition by Faber in 2013. Climbing Days, an exploration of the writing and climbing lives of his great-great aunt and uncle – Dorothy Pilley and I. A. Richards – is set to be published by Faber in Spring 2016.